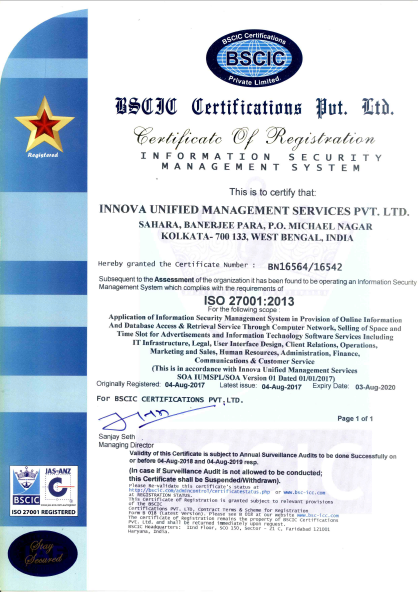 Software Development | Innova Unified Managemnet Services Pvt. 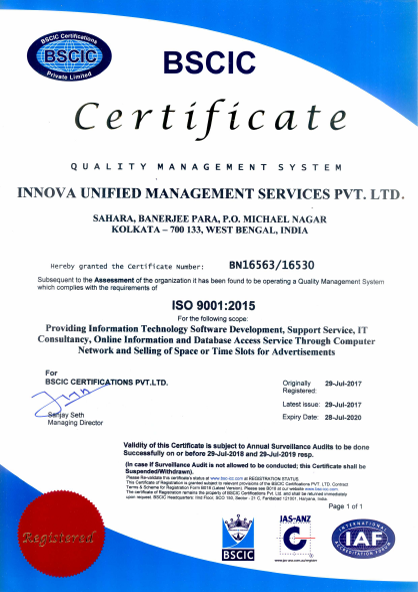 Ltd.
Innova is a stalwart IT software development company providing reasonably priced and reliable development solutions. Be it a domain-specific application, a start-up idea or a large corporate system, we build software from scratch to ensure smooth integration with the existing environment. Our experienced developers adhere to proven strategies and industry best processes, besides applying mature risk management to cope with the rapid market changes across industries. You can look up to us to convert your difficulties and challenges into advantages. Our business-boosting and powerful solutions are designed and generated to meet the distinct customer demands. Our professionals, with abundant knowledge of the business game render successful solutions in accordance with your time and budget. We also offer platform-based customisation and software maintenance. We look after every detail of your software development process through and through and make sure that right from ideation to implementation, you get complete support. Ensure useful improvements and check software cost of ownership, with our software support and maintenance. It not only makes single units available, it also allows the IT-infrastructure to run smoothly. Get rid of obsolete technologies and transform with the evolving IT ecosystem. Application re-engineering, cloud migration, application modernisation, data modernisation and more help you to reinvent your business value. Our developers build great SaaS applications in the cloud using programming languages like, Python and PMP. Cut across distribution models, devices and distances. Stay connected with your stakeholders with our holistic mobility solutions. Maintain operational dexterity, better financial management and increase competitive agility to counter challenging economic conditions. Use intelligent applications for analysis tools, big data and improved customer experience. Experienced developers in a vast spectrum of industries, technologies and types of applications. We meet partner needs with the best resources and quality. Ready to align as per project specificity. Our programmers specialise in the most recent software technologies.